A common adverse drug reaction is heparin-induced thrombocytopenia (HIT). The patho-genesis of HIT begins with the formation of antibodies (typically IgG), against platelet factor 4 (PF4), a protein released from platelet granules that binds to and inactivates heparin (55). IgG-heparin-PF4 complexes bind to platelet immunoglobin Fc receptors (FCy Rlla), leading to rapid uptake by splenic macrophages and thrombocytopenia. In addition, FCy Rlla-mediated platelet activation accelerates thrombin generation, contributing to an acquired hypercoaguable state. The risk of developing HIT is dependent upon many variables, including dose and duration of heparin exposure, heparin formulation (unfractionated low molecular weight heparin, bovine > porcine), and clinical setting (orthopedic surgery > cardiac surgery > medical patients) (56). Thrombocytope-nia rarely is severe enough to cause bleeding, but thrombotic complications occur in up to 50 of the HIT patients (57). Uncommon but sometimes life-threatening condition due to immune complex-mediated thrombocytopenia in patients treated with heparin. Early recognition reduces morbidity and mortality. IgG antibodies formed in response to heparin therapy form immune complexes with heparin and PF4, bind to platelet Fc receptors, trigger aggregation and cause thrombocytopenia. Thrombin activation causes vascular thrombosis and microthrombi cause microvascular occlusion. HIT causes a fall in the platelet count 8d (4 14d) after a patient's first exposure to heparin but may occur within 1-3d in a patient who has recently had prior exposure to heparin. Platelet count generally falls to 60 x 109 L but may fall to < 20 x 109 L. Microvascular occlusion may cause progressive gangrene extending proximally from the extremities and necessitating amputation. In patients with HITT (thrombocytopenia and thrombosis) limb amputation is required in 10 and mortality approaches 20 . These conditions are due to IgG and IgM antibodies which react with antigenic sites (usually GPIIb IIIa in ITP, platelet alloantigens in post-transfusion purpura and neonatal isoimmune purpura) on the platelet cell membrane, may fix complement and cause accelerated platelet destruction through phagocytosis by reticuloendothelial cells in liver and spleen. A compensatory increase in bone marrow megakaryocytopoiesis usually occurs which may occasionally prevent or delay the development of severe thrombocytopenia. Defines a platelet count < 150 x 109 L. May be due either to decreased bone marrow production of platelets or to increased destruction or sequestration of platelets from the circulation (or both). Platelet counts > 100 x 109 L are not usually associated with any haemorrhagic problems. Purpura, easy bruising and prolonged post-traumatic bleeding are increasingly common as the platelet count falls < 50 x 109 L. Although there is no platelet count at which a patient definitely will or will not experience spontaneous haemorrhage the risk is greater in patients with a platelet count < 20 x 109 L and increases further in those with a count < 10 x 109 L.
Many drugs implicated in idiosyncratic thrombocytopenia, largely through increased destruction usually immune mechanism. In most cases the patient has been using the drug for several weeks months and thrombocy- topenia is severe (< 20 x 109 L). Most commonly implicated are heparin, quinine, quinidine, gold, sulphonamides, trimethoprim, penicillins, cephalosporins, cimetidine, ranitidine, diazepam, sodium valproate, phenacetin, rifampicin, PAS, thiazides, (furosemide), chlorpropamide, tolbutamide, digoxin, methyldopa. If drug-induced thrombocytopenia suspected, discontinue the offending agent(s). If the patient is bleeding platelet transfusion should be administered. IVIg may be helpful. Thrombocytopenia usually resolves quickly but may persist for a prolonged period notably that due to gold which may be permanent. Implicated drugs should be avoided by that patient in future. Thrombocytopenia is commonplace in patients receiving cytotoxic chemotherapy. The trigger level to transfuse platelets is not always absolute. Spontaneous bleeding is unlikely if platelets are > 20 x 109 l, but the risk of traumatic bleeding is greater if < 40 x 109 l. Most clinicians would transfuse when platelets are < 10 x 109 l. However, if there is active bleeding, many clinicians would transfuse if < 50 x 109 l.
Thrombocytopenia is secondary to increased consumption which is likely to occur by adherence to collagen exposed on damaged endothelium. Martin et al. (1990) suggested three categories based on the platelet count class 1 when the platelet count is below 50 10 9 ml, class 2 when it is between 50 and 100*109 ml, and class 3 when it is between 100 and 150*109 ml. Class 1 patients had a higher mean value of lactate dehydrogenase, serum-glutamic oxaloacetic transaminase, serum glutamate-pyruvate transaminase, and indirect bilirubin than class 2 patients and a longer interval between delivery and recovery time. The degree of hypertension was not different between the groups. This classification may aid identification of more severe patients and facilitate earlier aggressive therapy. Blastic transformation, also called acute blast crisis or terminal phase, occurs in virtually all (nontransplanted) patients with CML, either following an accelerated phase or acutely during the course of stable phase CML.32,65 Most accept the definition of blast crisis as the development of greater than or equal to 30 percent blasts in the marrow or the peripheral blood.89 In the blast crisis stage, progressive anemia and thrombocytopenia occur with death usually due to bleeding or infection. Leukemic involvement of most organs is evident at autopsy. The median survival of those who develop a blast crisis is only about 6 months. In the massively transfused patients a number of considerations are important which will exacerbate coagulopathy. Packed red cells contain no active platelets. The platelet count should be measured. Banked blood greater than 3 weeks old contains only 10-15 of normal levels of clotting factors V and VIII. Obviously in a brain dead organ donor, spontaneous CNS hemorrhage is significant only insofar as it may further contribute to donor instability. The severely coagulopathic organ donor may, however, become unstable during multiorgan procurement due to excessive blood loss. Is there active bleeding There is increased risk of spontaneous hemorrhage with platelet counts < 20,000 mcL. B. Has patient experienced head trauma Intracranial hemorrhage is unusual but can occur with platelet counts < 20,000 mcL. C. Is patient febrile Presence of fever increases risk of thrombocytopenia due to significant infection or disseminated intravascular coagulation (DIC). D. Has patient recently received chemotherapy Chemotherapy is a frequent cause of thrombocytopenia. E. Is there a past history of low platelet count This could be consistent with chronic idiopathic thrombocytopenic purpura (ITP) or an inherited thrombocytopenia. F. Does patient take any medication Thrombocytopenia is often seen in patients who take valproic acid. Very rare exocrine pancreatic insufficiency with neutropenia. Patients present in early childhood with short stature and failure to thrive. Neutropenia may be chronic or cyclic. Patients may also have anemia or thrombocytopenia. 10. Fanconi anemia. Autosomal-recessive inheritance 80 of patients have phenotypic anomalies (including skeletal anomalies of thumb). Initial blood problem is usually thrombocytopenia, not neutropenia. Many of the pharmacokinetic factors that limit the applicability of diagnosis are not significant during hemoperfusion. Thus, molecular weight, degree of protein, binding in the plasma, and water solubility are not limiting factors during hemop-erfusion because of the high adsorbent area that comes in contact with the blood. The Vd remains important however. Drugs with a large Vd may be completely extracted from the blood as they pass through the adsorbent, but if only a small amount is present in the plasma compartment, only a small total amount may be removed from the body. The most frequent complications are hypotension and thrombocytopenia. Other complications are hypoglycemia, hypocalcemia and hypothermia. The nitrosoureas produce severe nausea and vomiting in most patients 4 to 6 hours after administration. The major site of dose-limiting toxicity is the bone marrow leukopenia and thrombocytopenia occur after 4 to 5 weeks. Less frequent side effects include alopecia, stomatitis, and mild abnormalities of liver function. Pulmonary toxicity, manifested by cough, dyspnea, and interstitial fibrosis, is becoming increasingly recognized as a complication of long-term nitrosourea treatment. As alkylating agents, these drugs are potentially muta-genic, teratogenic, and carcinogenic. More conventionally, intrathecal delivery via Ommaya reservoirs is used for treatment of leptomeningeal metastases and has resulted in increased survival time and improvement of symptoms. Catheter malposition must be avoided, as it can result in leukencephalopathy in surrounding neurological structures. Other complications include increased intracranial pressure (ICP), infection, and intracranial hemorrhage (15,16). Reservoirs, however, offer significant advantages over multiple lumbar punctures to deliver chemotherapy including improved patient comfort, diminished risk in patients with thrombocytopenia, and a more predictable concentration of drug delivery (16). Agnogenic myeloid metaplasia-myelofibrosis has been described by at least 37 different names, such as idiopathic myelofibrosis with myeloid metaplasia.124,125 Patients with this entity generally present with anemia, massive splenomegaly, and nucleated and tear-drop red cell forms in the peripheral blood. Basophilia and an elevation of the white count with a left shift are not uncommon although as the disease progresses, leukopenia may supervene.126 Early in the disease (before marrow fibrosis occurs) the marrow may be simply hypercellular and the disease unclassifiable. The platelet count may be high, normal, or decreased. Serum B12 and B12 binding proteins tend to be elevated as is the uric acid level, each suggestive of a significant degree of cell turnover. Henoch-Schonlein purpura (HSP) and hemolytic uremic syndrome (HUS) are common vasculitides in children. HSP typically consists of purpuric rash of buttocks and lower extremities, arthralgias, angioedema, and acute abdominal pain. GI symptoms, including abdominal pain, occult bleeding, massive bleeding, and intussusception, may precede dermatologic findings. Hematuria also can be present. HUS classically presents with a triad of microangiopathic hemolytic anemia, thrombocytopenia, and oliguric renal failure. One of the many complications of HUS is colitis causing melena and possibly perforation. The cause is unknown. Drugs that inhibit platelet function (e.g., aspirin) or produce thrombocytopenia increase the risk of bleeding when heparin is administered. Oral anticoagulants and heparin produce synergistic effects. Many basic drugs precipitate in the presence of the highly acidic heparin (e.g., antihistamines, quinidine, quinine, phenothiazines, tetracycline, gentamicin, neomycin). The acute leukemias are a heterogeneous group of neoplasms affecting uncommitted or partially committed hematopoietic stem cells. The origin of the malignant neoplasm is almost invariably within the marrow. Replacement of the marrow pulp or the repression of normal hematopoietic cells results in variable degrees of anemia, neutropenia, and thrombocytopenia. Hyperkalemia is defined as a plasma potassium level greater than 5.0 mmol l. This may be associated with low, normal, or high total body potassium. True hyperkalemia should be distinguished from pseudohyperkalemia, which may follow in vitro hemolysis and lysis of white blood cells (usually only at levels above 200 * 109 1) or platelets (usually only when the platelet count is above 750 * 10 9 1). Both TNF and IL-1 can induce the production of the other 24 and can act synergistically in producing hypotension, thrombocytopenia, metabolic acidosis with increased lactate, anaerobic glycolysis, hyperglycemia, and hypertriglyceridemia 25 . There are beneficial effects of IL-1, however. Taros and colleagues 26 showed in an animal model that administration of IL-1 a lessened the mesenteric ischemia and reperfusion injury and reduced bacterial translocation after burn and sepsis. Two drugs that are direct inhibitors of thrombin but that do not involve antithrombin III or vitamin K in their mechanism of action have been approved to provide intravenous anticoagulation in patients with he-parin-induced thrombocytopenia. Lepirudin (Refludan) and bivalirudin (Angiomax), which are analogues of the leech peptide anticoagulant hirudin, bind in a 1 1 complex with thrombin to inhibit its protease activity. Argatroban (Acova, Novastan), a synthetic analogue of arginine, interacts reversibly with and inhibits throm-bin's catalytic site. Both drugs have a short half-life. Lipuridin is cleared following metabolism and urinary excretion of changed and unchanged drug hepatic metabolism of argatroban is a therapeutic advantage in patients with renal insufficiency. No antagonists for these drugs are available. A 23-year old pregnant woman who has been administered IV heparin for treatment of deep vein thrombosis has developed heparin-induced thrombocytopenia. Altering therapy by removing heparin and adding warfarin is not a viable option, because warfarin can cross the placenta and exert an anticoagulant effect in the fetus. Suggest a treatment approach. Prolymphocytic leukemia (PLL), once thought to be a variant of CLL,198 is now a well-characterized clinicopathological entity characterized by specific morphological, immunophenotypic, and histological criteria.199,200 The relative frequency of PLL among patients with chronic lymphoproliferative disorders at one large center was 10 percent compared with 80 percent for CLL and 10 percent for hairy cell leukemia.201 B-cell PLL accounts for approximately 80 percent of cases with the more aggressive T-cell PLL accounting for the remainder. PLL is clinically distinct from CLL on the basis of prominent splenomegaly, minimal adenopathy, and extreme leukocytosis with about 50 percent of patients displaying thrombocytopenia, consistent with advanced stage disease (Plate 3-2G,H). Topotecan was the first water-soluble CPT analogue approved for clinical use. It has a relatively higher CNS penetration than most other CPTs, due in part to its low plasma protein binding. Schedule-dependent synergism with radiation (concurrent, preradiation, or within 30 minutes after radiation) in vitro has been observed. Renal excretion is the main route of drug elimination. Dosage adjustments are recommended for patients with moderate renal impairment (20-39mL min). Hepatic metabolism by cytochrome P-450 enzymes is minimal. At the standard dose of 1.5 mg m2 day for 5 consecutive days every 3 weeks, noncumulative and reversible neutropenia is the most common dose-limiting toxicity, with grade 4 neutropenia occurring in 81 , febrile neutropenia in 26 , grade 4 thrombocytopenia in 26 , and severe anemia (Hb less than 8g dL) in 40 . Topotecan is approved for use in cisplatin-refractory ovarian cancer, recurrent small cell lung cancer failing frontline chemotherapy, and leukemias. Petechiae or purpura may be seen with thrombocytopenia in bone marrow failure or infiltration, hemolytic uremic syndrome, thrombotic thrombocytopenic purpura, or autoimmune hemolytic anemia. Telangiectasia, palmar erythema, and jaundice may indicate liver disease. Isolated jaundice suggests hemolysis. Lack of pink coloration of palmar creases indicates severe anemia. Two large-bore intravenous cannulas should be placed to allow fluid access and administration of medication. In a few patients, survival is threatened by the actual volume of blood lost through hemoptysis. Intravenous fluid should be administered commensurate with the vital signs. Routine laboratory analysis should include a hematocrit, platelet count, coagulation profile, arterial blood gases, and renal function studies. Blood should also be typed and cross-matched in case transfusion is required. Any coagulation defects should be corrected. If there is ongoing massive bleeding despite endobronchial management, vasopressors such as intravenous vasopressin (0.2-0.4 units min as a continuous infusion), terlipressin (1-2 mg as a bolus every 6-8 h), or octreotide (50 pg intravenously as a bolus followed by 50 pg h as a continuous infusion) can be used as a temporary measure. Exclusion criteria use of oral anticoagulants or INR greater than 1-7 use of heparin in preceding 48 hours or prolonged partial thromboplastin time platelet count less than 100 000 mm3 stroke or serious head injury in the previous three months major surgery within previous 14 days pretreatment systolic BP greater than 185 mmHg or diastolic greater than 110 mmHg rapidly improving neurological condition mild isolated neurological deficits previous intracranial haemorrhage blood glucose greater than 22 mmol L (400 mg dl) or less than 2-8 mmol L (50 mg dl) seizure at stroke onset gastrointestinal or urinary bleeding within previous 21 days or recent myocardial infarction. Additional evaluation may be of aid in the diagnosis of acute uremia. Severe hypocalcemia at the onset of oliguria occurs in rhabdomyolysis and pancreatitis. Very high levels of uric acid accompany tumor lysis, trauma, or muscle damage. Eosinophilia is frequent in acute interstitial nephritis. Hemolytic uremic syndrome and thrombotic thrombocytopenic purpura are characterized by hemolytic anemia, thrombocytopenia, and the presence of schistocytes, and disseminated intravascular coagulation is characterized by anemia, thrombocytopenia, and prolonged prothrombin, partial thromboplastin, and thrombin times associated with low fibrinogen titers and elevated levels of fibrin degradation products. 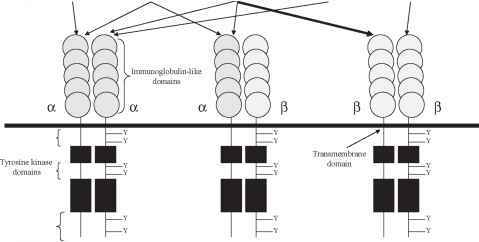 The basic screen consists of a platelet count, prothrombin time, activated partial thromboplastin time and thrombin time. Close attention to blood sampling technique is very important for correct interpretation of coagulation tests. Drawing blood from indwelling catheters should, ideally, be avoided since samples may be diluted or contaminated with heparin. The correct volume of blood must be placed in the sample tube to avoid dilution errors. Laboratory coagulation tests are usually performed on citrated plasma samples taken into glass tubes. Sample tube contains celite, a diatomaceous earth, which activates the contact system thus the ACT predominantly tests the intrinsic pathway. The ACT is prolonged by heparin therapy, thrombocytopenia, hypothermia, haemodilution, fibrinolysis and high dose aprotinin. Normal is 100-140s. Anticoagulant control without laboratory tests. LMWH is more effective than standard heparin in preventing and treating venous thromboembolism. The incidence of thrombocytopenia after administration of LMWH is lower than with standard heparin. Adverse drug reactions like those caused by standard heparin have been seen during therapy with LMWH, and overdose is treated with protamine. Carboplatin can be regarded as a less toxic substitute for cisplatin and is used for similar indications. Patients resistant to cisplatin will also be resistant to carboplatin and vice versa. However, the increased thrombocytopenia seen with carboplatin may be a disadvantage in some combinations, while reduced non-haematological toxicities may be an advantage in others. Further, a low level of non-haematological toxicity makes carboplatin suitable for inclusion in high-dose regimens with bone marrow or stem cell rescue. No association with radiation, drugs, chemicals or viral infection. Not all cases are clonal. Clonal and non-clonal cases may have different natural histories thrombosis is less common in polyclonal 250 ET as is the risk of leukaemic transformation. Platelets in ET are often functionally abnormal showing impaired aggregation in vitro. High platelet counts (> 1000 x 109 L) are associated with an acquired von Willebrand syndrome reduction in the platelet count corrects the abnormality and reduces haemorrhagic episodes. The introduction of the haematopoietic growth factors changed high-dose chemotherapy. Administration of these cytokines following bone marrow re-infusion resulted in a dramatic abbreviation of duration of neutropenia. It was also discovered that administration of these factors, either at steady state or following myelosuppressive chemotherapy, resulted in mobilization of haematopoietic progenitors from the bone marrow into the peripheral blood. These 'peripheral blood progenitors' (PBP) could be harvested by leuco-pheresis, then re-infused as haematopoietic rescue following subsequent HDC. PBP autografting is superior to marrow autografting, with shortened neutropenia and thrombocytopenia, and reduced mortality and morbidity. *Cytopenia is defined as platelet count < 100 x 109 L, hemoglobin < 10 g dl, or neutrophil count < 1 The del(5q) is the most commonly reported deletion in de novo MDS and is found in 10-15 of all patients (Figure 8.2). Those MDS patients with RA and the del(5q) as the sole abnormality have the 5q- syndrome. This syndrome was described by Van den Berghe and Cassiman in 1974 and has the following hematological features in association with an interstitial deletion of the long arm of chromosome 5 refractory anemia, female preponderance, macrocytosis, normal high platelet count, hypolobulated megakaryocytes, and a low transformation rate to AML. There is a clear genotype-phe-notype association and the prognosis of the 5q- syndrome is good (Figure 8.3). Currently, the most significant impact of molecular testing on clinical management and genetic counseling is the differentiation of type 2N VWD and mild HA. Both have a mild to moderate reduction in F8 activity, with normal levels of VWF antigen and ristocetin cofactor activity. The autosomal inheritance pattern and the need for use of VWF concentrates rather than pure F8 concentrates make this an important distinction. Differentiation of VWD types 2A and 2B also provides useful information that alters clinical management. Although patients with type 2B VWD are characterized by the presence of variable degrees of thrombocytopenia, the differentiation from type 2A by platelet count is not always possible. The distinction between types 2A and 2B is clinically significant because treatment with vasopressin (DDAVP) is contraindicated in patients with type 2B due to the potential for worsening the thrombocytopenia. Critically ill patients frequently have several coexistent risk factors for thromboembolic disease, in particular prolonged immobility, surgery, and indwelling vascular access catheters. Therefore they may benefit from thromboprophylaxis. However, they may also be at increased risk of hemorrhage due to recent surgery, hemostatic dysfunction secondary to renal failure (which also reduces heparin clearance), severe hepatic disease, or thrombocytopenia. These factors are relative contraindications to anticoagulation. As these patients form a highly heterogeneous group, the risk-benefit ratio will vary from patient to patient. There is a paucity of data on the risks and benefits of thromboprophylaxis or anticoagulant regimens in this group of patients. Quinidine used to be popular as an effective antiarrhythmic agent against both supraventricular and ventricular arrhythmias, but has fallen into disuse after a large meta-analysis suggested excess mortality due to drug-induced torsade de pointes. Quinidine directly suppresses sinus node and atrioventricular node conduction and increases the refractory period of atrial, ventricular, and His-Purkinje tissue, although an anticholinergic action may increase atrioventricular nodal conduction. The most important side-effect is torsade de pointes associated with QT prolongation. Other side-effects are seen in the gastrointestinal system, together with tinnitus, thrombocytopenia, and hypotension. The drug may precipitate digoxin toxicity. The drug is metabolized hepatically and dose reduction is necessary in patients with hepatic disease. To decrease the thrombohemorrhagic complications the Hct should be maintained below 0.45, by phlebotomy if possible. Close monitoring of the Hct and platelet count should be performed on a monthly basis. Low-dose aspirin (75 mg) appears For patients with previous fetal loss or those at high risk of thrombosis, low-molecular weight heparin has been reported to be useful in patients with ET.135 Anticoagulation should be continued for 6 weeks postpartum and it is important to watch for rebound increases in the Hct and platelet count in this period. Heparin (UFH and LMWH) does not cross the placenta and poses no teratogenic or haemorrhagic threat to the fetus. Maternal complications include haemorrhage (severe in < 2 ), thrombocytopenia (severe in < 1 ) and osteoporosis, usually asymptomatic and reversible but rare cause of vertebral fractures. LMWH may have fewer complications cf. unfraction-ated (UF) heparin. Chronic lymphocytic leukemia is a low-grade lymphoma marked by a peripheral lymphocytosis of CD5+, CD20+, CD23+ small lymphocytes that are similar in morphology to normal lymphocytes. BCL-2, which is expressed at low levels in normal lymphocytes, is expressed at high levels in more than 70 of CLL cases but this is rarely, if ever, due to a t(14 18). Staging based on presence of lymphadenopa-thy, organomegaly anemia or thrombocytopenia can provide prognostic information, those in the best prognostic groups enjoying normal mean survival times. An rare autosomal recessive or sometimes X-linked disorder where T 408 cells, B cells and granulocytes are absent. Such children present with serious infection at birth or shortly afterwards. They have no lymph nodes or tonsils, and the usual thymic shadow is absent. Bone marrow is hypoplastic, and there may also be thrombocytopenia and anaemia. It appears to be a pluripotential stem cell failure and carries a dire prognosis. The only curative therapy is BMT. Able patients, there were 7 partial responses (PR), 2 minor responses (MR), 9 stable disease (SD), and 13 patients with progressive disease (PD). Nearly all patients experienced grade-3 leukopenia and thrombocytopenia, plus grade-2 nausea. There were two toxic deaths on study secondary to renal and CNS toxicity. At autopsy, both children had evidence of mid-brain edema and eosinophilic necrosis of the pons. Other patients on study showed no consistent pattern of impending renal neurologic toxicity (Anderson et al. 1998). A phase-I study of BSO with melphalan is underway in the New Approaches to Neuroblastoma Therapy (NANT) consortium (N9902), which increases the melphalan to myeloablative doses with peripheral blood stem-cell support,while holding the BSO infusion constant, with close monitoring for possible renal or neurologic toxicity. Entry of HIV-1 or HIV-2 through a mucosal surface after sexual contact, direct inoculation into the bloodstream by contaminated blood products, or IV drug abuse can be followed by a transient febrile illness up to 6 weeks later associated with oral ulceration, pharyngitis, and lym-phadenopathy. Photophobia, meningism, myalgia, prostration, encephalopathy and meningitis may also occur. FBC may show lym-phopenia or lymphocytosis often with atypical lymphocytes, neutropenia, thrombocytopenia or pancytopenia. Major differential diagnoses are acute viral meningitis and infectious mononucleosis. False +ve IM serology may occur. Specific IgM then IgG antibody to HIV appears 4-12 weeks after infection and routine tests for HIV may be -ve for up to 3 months. However, the virus is detectable in plasma and CSF from infected individuals during this period and the patient is highly infectious. With the increasing awareness among clinicians of H. pylori infection over the last decade, there have been a number of reports on the consequences of adverse effects from H. pylori infections outside the gastrointestinal tract (Tab. 1). Studies purporting the association between these manifestations of H. pylori infections are weak in terms of design and are not reviewed in this chapter. However, there are two manifestations that need to be mentioned the first is refractory iron-deficiency anemia and the second is idiopathic thrombocytopenia (ITP) 45 . Hepatosplenic T-cell lymphomas present with hepatosplenomegaly, usually without peripheral lymphadenopathy and without lymphocytosis. There is almost always thrombocytopenia and most patients are anaemic. 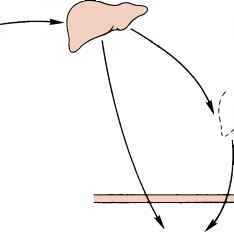 Liver function tests are usually abnormal with moderate elevation of levels of transaminases and alkaline phos-phatase. Serum lactate dehydrogenase level may be very high 334 . The sulfonamides do cause hypersensitivity reactions (e.g., rashes, eosinophilia, and drug fever) in a small number of patients. Other rare allergic reactions include vasculitis, photosensitivity, agranulocytosis, and thrombocytopenia. Stevens-Johnson syndrome is also associated with sulfonamide use it is characterized by fever, malaise, erythema multiforme, and ulceration of the mucous membranes of the mouth and genitalia. Hemolytic anemia may develop in persons with a genetic deficiency of red blood cell glucose-6-phosphate dehydrogenase (G6PD). Hematological function coagulation abnormalities are probably the most important indicator of hematological malfunction and are best measured by the platelet count, the prothrombin time, and the activated partial thromboplastin time. A low hematocrit or an abnormal white cell count may be included. Cytomegalovirus disease is found most commonly one to four months after transplantation. Manifestations of CMV range from asymptomatic viremia to lethal disseminated disease. Mild to moderate disease presents with fever, malaise, headache, arthralgias and myalgias. Laboratory abnormalities include leucopenia and thrombocytopenia. 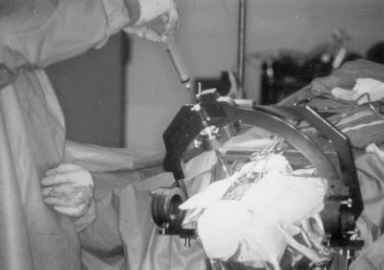 End organ involvement usually correlates with the type of transplant, thus, hepatitis occurs in liver recipients, glomerulopathy in renal transplants, pancreatitis in pancreatic transplants, and pneumonitis in lung and heart-lung recipients. Other organs that can be affected are the gut (gastritis, esoph-agitis, colitis), central nervous system (encephalitis, polyradiculopathy), and retina (retinitis). Colitis usually presents with diarrhea that is occasionally bloody, and it may be complicated by the formation of ulcers and perforation. Retinitis is significantly less common in transplant recipients than in patients with HIV infection. Examine for signs of (i) infection (e.g. pyrexia, purulent sputum, catheter sites, neutrophilia, falling platelet count, CXR, meningism), (ii) cardiovascular instability (hypotension, increasing metabolic acidosis, oliguria, arrhythmias), (iii) covert pain, particularly abdominal and lower limbs (e.g. compartment syndrome, DVT), (iv) focal neurological signs (e.g. meningism, unequal pupils, hemiparesis), (v) respiratory failure (arterial blood gases), (vi) metabolic derangement (biochemical screen). If any of the above are found, treat as appropriate. Psychosis should not be assumed until treatable causes are excluded. Infection with T. gondii in these patients can involve the brain, the lung, and the eye. A multiorgan involvement with acute respiratory failure and haemodynamic abnormalities, as in septic shock, have been described (Lucet et al. 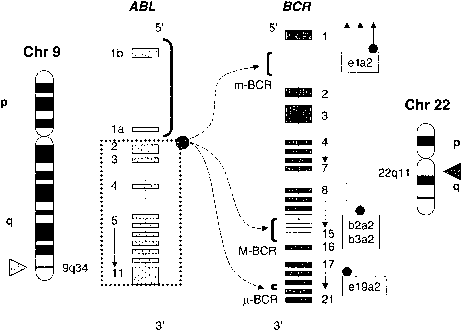 1993 Al-Kassab et al. 1995). The association of high fever, acute dyspnea, recent onset of thrombocytopenia, and a very high level of lactate dehydrogenase activity are suggestive of disseminated toxoplasmosis. The prothrombin and activated partial thrombin times should normalize by the third postoperative day if the graft is working. Preoperative thrombocytopenia does not always respond to platelet transfusion and usually takes longer (up to a week or more) to recover. Hemoglobin concentration should not exceed 10 g dl to avoid increasing blood viscosity and the risk of portal or hepatic arterial occlusion. Clotting factors should not be given routinely because the prothrombin time is a valuable guide to graft function. In the presence of continued blood loss, thromboelastography should be used to determine the cause. Aprotinin should be continued if there is evidence of continuing fibrinolysis and cryoprecipitate given if fibrinogen levels are low. Reasonable clotting indices suggest a surgical cause and should prompt re-exploration intra-abdominal clot may cause the abdominal compartment syndrome, clotting factor consumption, clot expansion, and hyperbilirubinemia. Myelosuppression is the most common serious adverse effect of ganciclovir treatment therefore, patients' blood counts should be closely monitored. Neutropenia and anemia have been reported in 25 to 30 of patients, and thrombocytopenia has been seen in 5 to 10 . Elevated serum creatinine may occur following ganciclovir treatment, and dosage adjustment is required for patients with renal impairment. In animal studies, ganciclovir causes decreased sperm production, teratogenesis, and tumor formation. 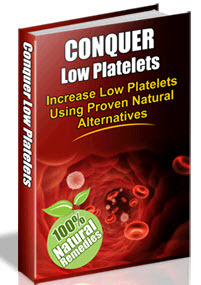 You can safely download your risk free copy of Conquer Low Platelets from the special discount link below.